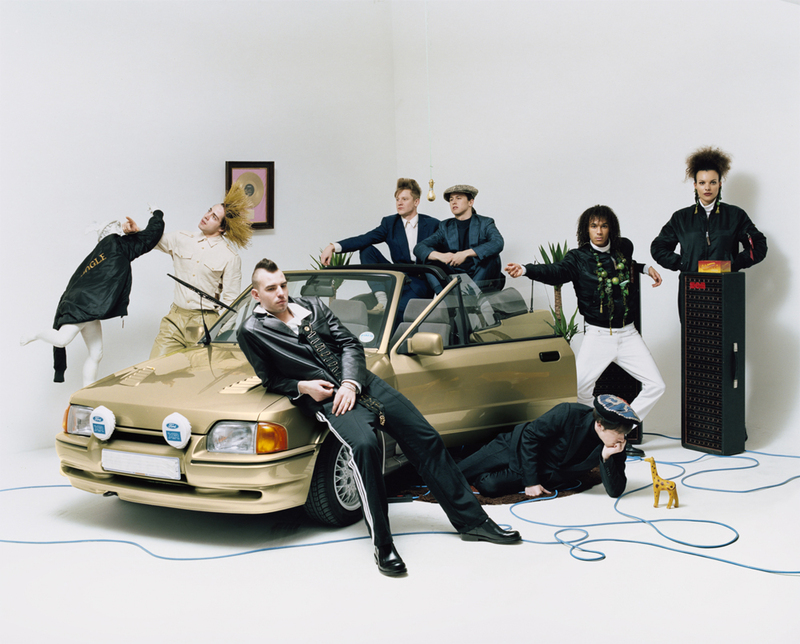 British soul collective Jungle‘s recent single “Julia”, gets a epic catchy/funky rework by Soulwax. The remix is out now digitally on XL Recordings. Get it here. 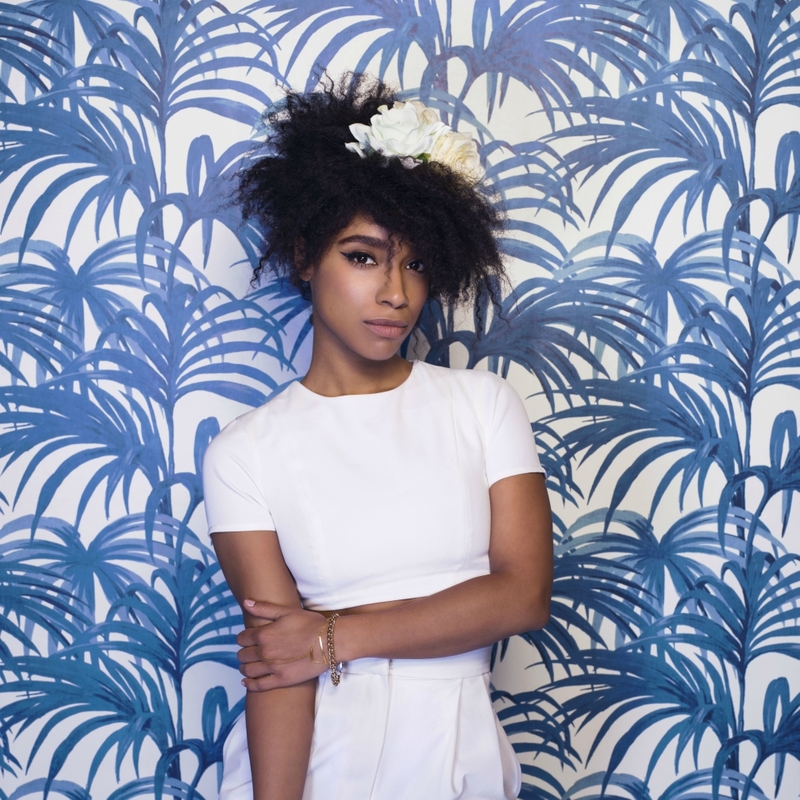 Lianne La Havas made a huge breakthrough with her Top 5 debut album ‘Is Your Love Big Enough?’ which sold 200,000 copies and won Album of the Year at iTunes as well as Barclaycard Mercury Prize and Ivor Novello Best Album nominations. Now the 25-year-old London-based singer-songwriter will release her eagerly anticipated new album ‘Blood’ on July 31st on Warner Bros. Records. ‘Blood’ is an album that was inspired by Lianne’s family heritage, which is part Jamaican and part Greek. Once touring for her debut album came to a close, she headed to Jamaica with her mother for a holiday which evolved into an experience of self-discovery. Lianne enjoyed emotional reunions with long-lost relatives; embraced Kingston’s clubs; and even jammed in front of her family for the first time during a session with legendary dancehall / reggae producer Stephen McGregor. Lyrically, the songs that feature on the album are almost all related to “the feeling of who you are and where you come from.” Sonically, ‘Blood’ is a collection that shakes, shimmies and swings with Jamaican grooves with Lianne taking inspiration from the nation’s love of grooves, rhythms and syncopation. In addition to Stephen McGregor, ‘Blood’ features a rich collection of collaborators. Produced and co-written by Adele / FKA twigs collaborator Paul Epworth, and founded upon an instrumental recording by Ninja Tunes trio The Invisible, the first single ‘Unstoppable’ is a song that Lianne wrote to help to repair a relationship that she had ended. Set to impact on June 1st, ‘Unstoppable’ will also be available from the evening of April 21st as an instant grat track for those who pre-order the album. In addition to the regular CD, digital and vinyl releases, ‘Blood’ will also be issued on three special formats: a Mastered for iTunes digital edition; a limited first run CD Softpak; a signed 12” vinyl which will be available exclusively through Lianne’s official website; and a signed CD which will be available from Amazon. Jungle have today premiered two brand new remixes. Special Request and Zomby have stepped up to deliver incredible mixes of ‘Busy Earnin’’ and ‘The Heat’ respectively, both of which are taken from Jungle’s acclaimed eponymous debut album on XL Recordings. The remixes mark the release of a Deluxe Edition of Jungle’s acclaimed debut album, which is available to buy here and features both remixes in addition to a host of additional material. 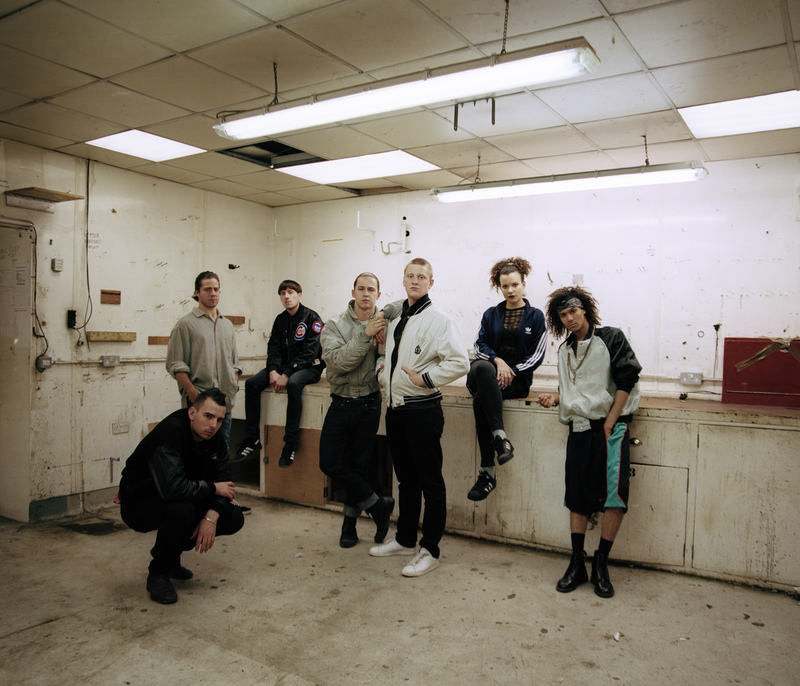 Described by Q magazine as a “brilliant, joyous, unsettling debut” and by NME as “the pop-art album of the summer”, Jungle’s debut album was shortlisted for the 2014 Mercury Music Prize before featuring in many end-of-year ‘best of’ lists including Time Out, Clash, NME, Amazon, Rough Trade Shops and Q. Jungle were also nominated for ‘British Artist Of The Year’ at the BBC Music Awards, named iTunes’ ‘Best New Alternative Artist Of 2014’ and featured as one of Spotify’s ‘Top 5 Breakthrough Artists’. They then rounded off 2014 with a show-stopping US TV performance on the Tonight With Seth Myers show, which can be seen here. 2015 will also see Jungle play their biggest ever headline show – at London’s 5000 capacity Brixton Academy on 3rd June. The show – along with a newly announced gig at Bournemouth’s O2 Academy – follows a fully sold out UK tour through February and March. The band have also been confirmed to perform at this year’s Coachella festival, as well as Primavera, Ibiza Rocks, Bestival, Croatia Rocks, T In The Park, Rock en Seine and the Secret Garden Party, with more festival dates to be announced soon. For all Jungle live shows, head here. Jungle have today premiered the video for new single “Julia’. 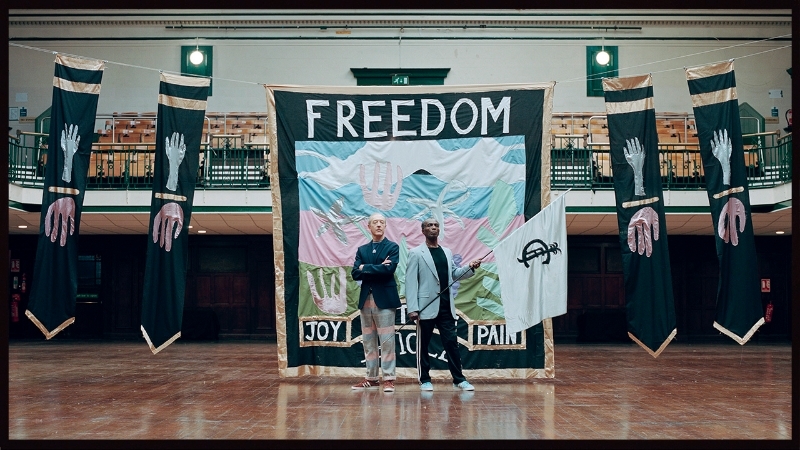 The video is another directorial collaboration between Oliver Hadlee Pearch and Jungle’s very own ‘J’, following the success of the pair’s videos for previous singles ‘Platoon’, ‘The Heat’, ‘Busy Earnin’ and ‘Time’. Featuring stunning choreography, ‘Julia’ also sees all the key players from those previous videos coming together for one final shot. 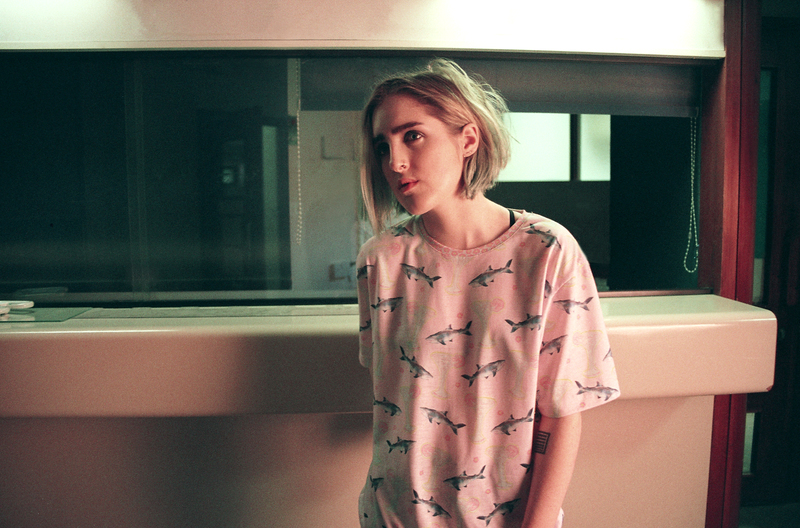 ‘Julia’ is taken from the Jungle’s acclaimed, self-titled debut album. Described by Q magazine as a “brilliant, joyous, unsettling debut” and by NME as “the pop-art album of the summer”, the album was shortlisted for the 2014 Mercury Music Prize before featuring in many end-of-year ‘best of’ lists including Time Out, Clash, NME, Amazon, Rough Trade Shops and Q. Jungle were also nominated for ‘British Artist Of The Year’ at the BBC Music Awards, named iTunes’ ‘Best New Alternative Artist Of 2014’ and featured as one of Spotify’s ‘Top 5 Breakthrough Artists’. They then rounded off 2014 with a show-stopping US TV performance on the Tonight With Seth Myers show. 2015 will also see Jungle play their biggest ever headline show – at London’s 5000 capacity Brixton Academy on 3rd June. The show – along with a newly announced gig at Bournemouth’s O2 Academy – will follow a fully sold out UK tour through February and March. The band have also been confirmed to perform at this year’s Coachella festival, as well as Primavera, Bonnaroo, Croatia Rocks, Longitude and the Secret Garden Party, with more festival dates to be announced soon. For all Jungle live shows, head HERE. 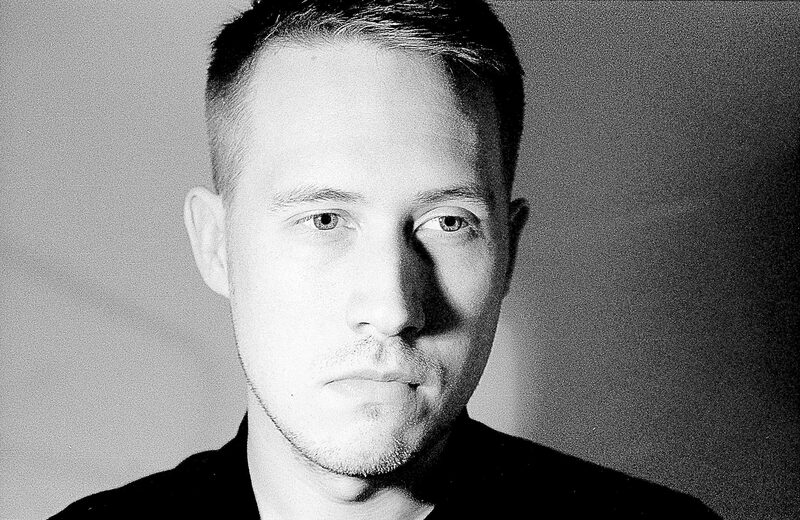 Joy Orbison has stepped up to deliver a rare remix, lending his acclaimed production skills to Jungle’s current single ‘The Heat’. You can hear ‘The Heat (Joy Orbison Remix)’ right now below buy it from September 22nd 2014, exclusively via Beatport. Jungle today also announce a 2015 UK headline tour. The thirteen date tour will feature the band’s biggest UK headline show yet – at London’s 3000 capacity Roundhouse venue on March 3rd 2015. Tickets for all dates go on sale at 9am on September 17th 2014 and fans should head to http://www.junglejunglejungle.com/ for more details. London collective Jungle today premiere the video for their new single ‘Time’. Directed by Oliver Hadlee Pearch alongside the band’s ‘J’, the ‘Time’ video is available to watch right now below, the latest in a series of successful collaborations between the pair (on Jungle’s previous ‘Platoon’, ‘The Heat’ and ‘Busy Earnin” videos). The ‘Time’ video arrives on the eve of the release of Jungle’s highly-anticipated, eponymous debut album, which is released worldwide on July 14th 2014 (15th in the US) on XL Recordings. Already described by Q magazine as a “brilliant, joyous, unsettling debut” and by NME as ” the pop-art album of the summer”, Jungle is available to stream in full from today, exclusively via itunes. Pre-order here. British funk-pop duo Jungle have shared their great new single, Time, taken from their self-titled debut album which will be released on June 6th 2014 via XL Recordings. Pre-order here.